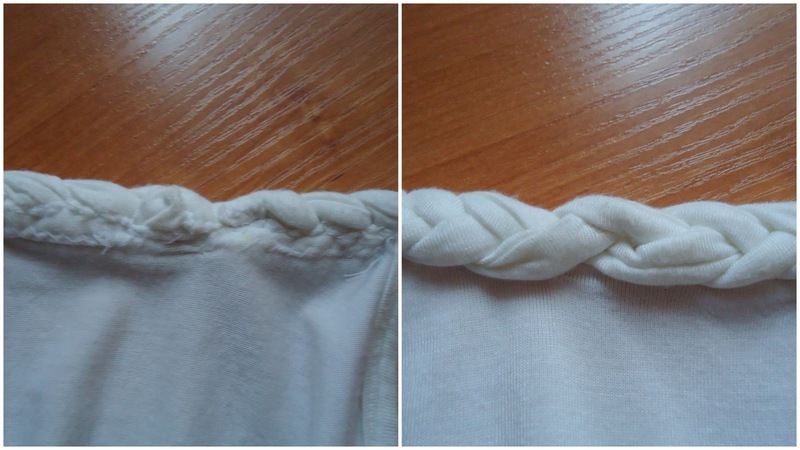 Well, I know this blog is called "Bags you can make", but I must admit, I also make other stuff :D So today I'm showing you the braided shirt I made a couple of years ago. Since it's one of those rare times that I didn't use a pattern, I decided to make a tutorial for you, so that you can make one yourself! Attention: I'm not the professional (have that in mind) and I am not perfect at explaining, but if you have any questions - just leave them in the comments! My size is M, so the given measurements are for the size M, but it can be easily changed! Picture above: Left detail - front detail, right detail - back detail. To get line AD - measure your bust, minus 2 cm, and divide in two. Example: 90 cm - 2 cm =88cm/2=44cm. To get line FE - measure you hips, divide in two and add a couple of centimeters (the more you add the looser it will be in the bottom). Picture above: arranging details on the fabric. You will need 1 front piece, 1 back piece, 3 straps for the braid (5cm width and about 1,5 meter length (might be longer or shorter -depends on how you gonna braid)), 2 straps for the armpit seam covering (3 cm width, 44 cm length), 1 strap for the elastic band (90 cm length, 3 cm width). Cut the details. Take front and back details, put them so that the wrong sides are outside. 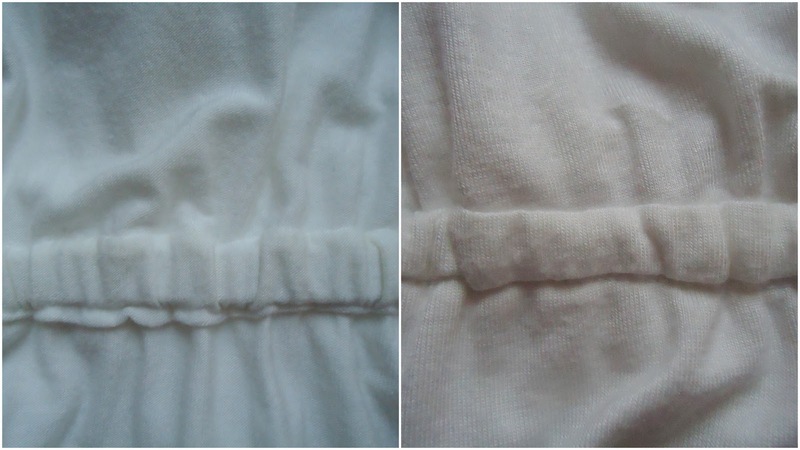 Pin sides, make a seam and zig-zag it. Zig-zag the bottom and upper parts, but don't zig-zag the B-B1 and C-C1 (armpits) lines. Take a 44 cm strap, fold it, and cover the line B-B1, so that there are not raw edged visible. Do the same with another strap and line C-C1. Take one 1,5 meter strap, fold it (wrong side facing up) and sew the long edge (This way you have a 1,5 meter length and 1,5 cm width strap). Turn in inside-out. Repeat with 2 other straps. 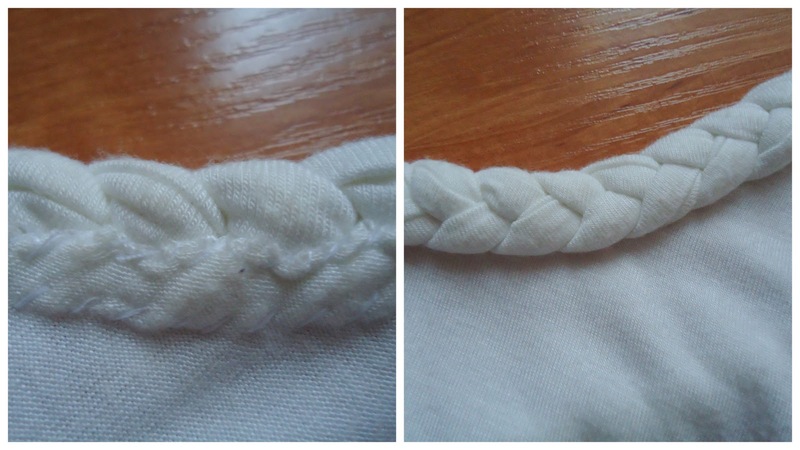 Take all 3 straps, secure one end with a safety pin and braid the usual braid (like you braid hair). The finished braid should be 102 cm length. 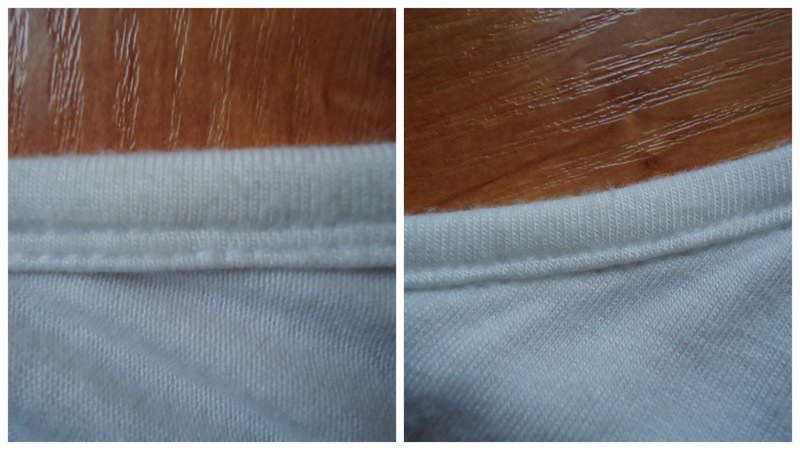 Turn the shirt inside out, measure 16 cm as shown, and mark the line that the elastic band is going to be attached. Take the remaining strap, fold it, put it on the red line, pin it to the shirt (raw long edges should be inside), sew the long edges, but do not sew the ends. Put the elastic band threw the ends, sew the band ends together. Turn the shirt inside out and you are done! This looks so comfy! Love the braid detail as well, very sweet, always been a favourite detail of mine. Juliet - it's sooo comfy! But I only wear it when I want to dress up a little bit - that braid sure gives "dressy" effect! KATJA - I'll be waiting for the bag photos on your blog! Knowing your style it will be very very interesting to see!